New Zealand’s leading law firm in local government, we know and understand the huge range of issues local councils face on a daily basis. With our extensive experience, chances are we’ve seen and done it before.  A trusted provider of legal services to local government for the past 100 years, our impressive client list includes district, city and regional council clients. We’re on the Auckland Unitary Plan Hearings Panel legal advisors panel; we’re the main legal advisor to the Bay of Plenty Regional Council; a panel advisor to Tauranga City Council; and were recently reappointed main advisor to the Western Bay of Plenty District Council. We also provide advice to other territorial authorities from time to time, including Opotiki District Council and Gisborne District Council. We regularly advise on other legislation in the local government / Resource Management Act (RMA) family and have considerable experience in prosecutions and enforcement. Experienced and committed to alternative dispute resolution, we regularly appear before council hearing panels and in the Environment and High Courts. Local Government Official Information Act requests. Local government policy, bylaws and consultation. Road stopping, reserves and rating. Advice to elected members e.g. legal tests for decision-making, jurisdiction, prejudice and predetermination/conflict of interest, standing orders and LGOIMA. District and High Court proceedings on negligence, breach of statutory duty and misfeasance in public office. Public Works Act and Reserves Act issues such as reserve classification and offer-back matters, including ongoing advice to elected members. Development contributions and financial contributions. Public sector finance and borrowing. Maritime issues such as regional council and harbourmaster’s functions and responsibilities under the Maritime Transport Act and navigation bylaws. Enforcement under the Resource Management Act, Building Act, Local Government Act or Bylaws.